Part of Hager's premium 'Design 30' range, the VM106K offers superior aesthetics, multiple fixing points and knockouts, cable protector plates and retained cover screws. 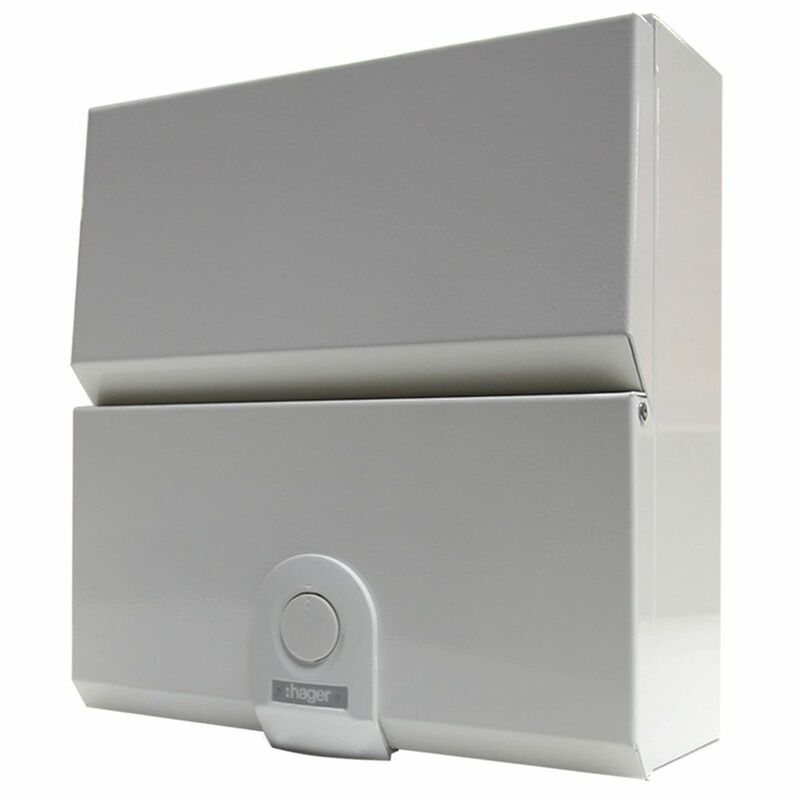 It gives 6 usable ways protected by a 100A main switch and is designed for use in apartments. In order to satisfy 17th edition regulation, the VM106K should be populated with 6 x RCBOs.